In our wanderings over 43 of the 50 states and several foreign countries, Kaye and I have not found the perfect place to live. But we have happened upon some pretty wonderful settings. 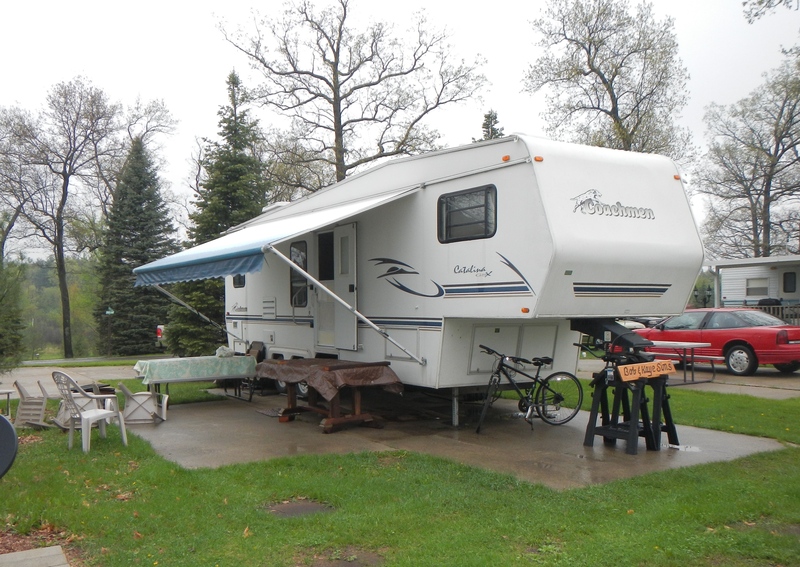 In fact, after returning from our winter sojourn in the south, we have set up habitation at a remarkable campground in Ortonville, Michigan, where the nearly perfect balance exists between rural rest and city convenience. 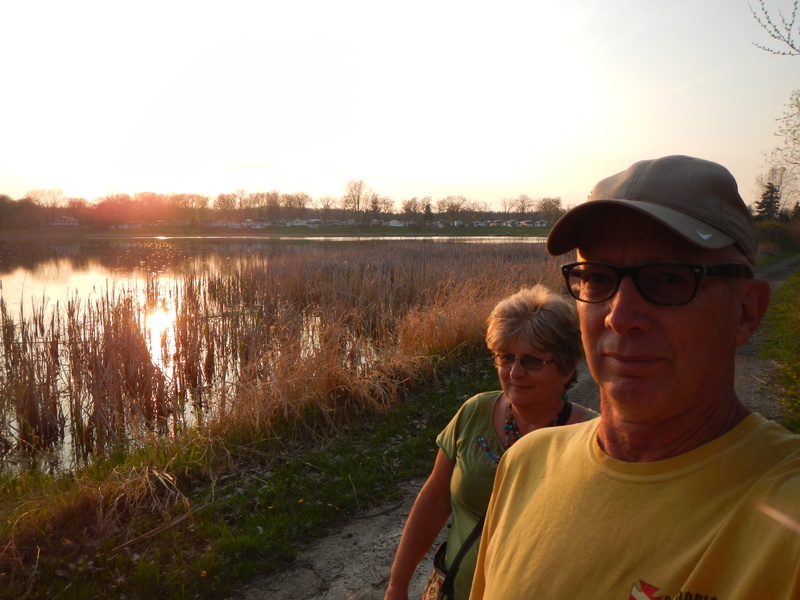 Only 12 miles from our grandkids, we live in a park with a beautiful lake with a trail around it fringed by protected wetlands and mature forests of oak, maple, beech and pines and frequented by wild geese and whitetail deer. McDonalds is right across the street and A&W – the old fashioned kind with the car hops – is a 15-minute walk up the street, and there are shopping malls a few miles away at the outer fringe of the Detroit metropolitan urban sprawl. Our exercise regimen is nicely facilitated by a 1-mile trail around the lake. 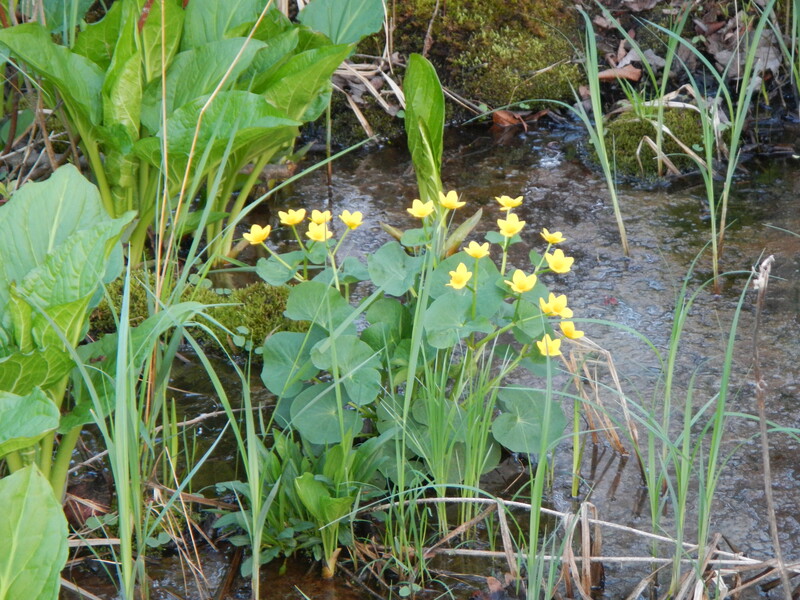 The marsh marigolds are blossoming in the neighboring wetlands. 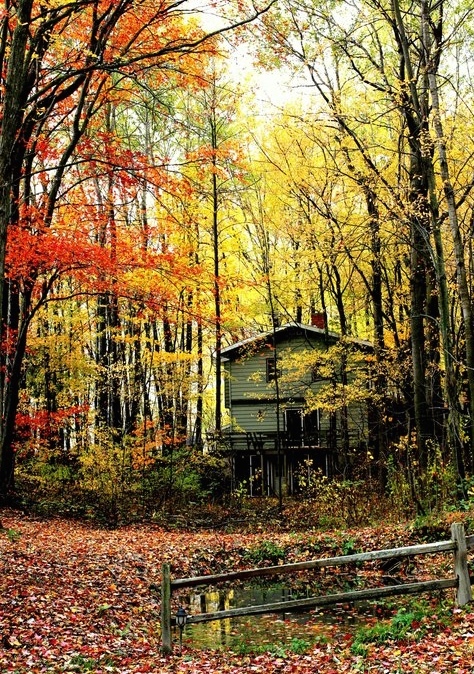 The perfect home doesn’t exist anywhere. But when we lived in the rural Michigan farm community where we raised our kids and owned a 30-acre Christmas tree farm, we often reveled in the changes of the seasons right outside the windows of our 10-room house in the woods. We felt that we were enjoying the almost perfect location for our family at the time. Our perfect house in the woods in rural Michigan. Except that I couldn’t keep the car clean because the gravel roads turned to mud with every rain storm. I watched the rocker panels and the fenders rust out in slow motion right before my eyes. And it was a half-hour drive to Walmart and more than an hour to the nearest shopping mall. It seemed there was a trade-off in everything. Being a school teacher, my kids would ride to and from school with me rather than riding the bus to our small town district of less than 800 students. The students seemed more laid-back than their suburban counterparts and didn’t seem to have anything to prove. Our kids thrived. But they eventually grew up, went to college and then were too educated to find professional jobs in the country. They left the area and pursued their own lives, leaving us alone on our mini-paradise. 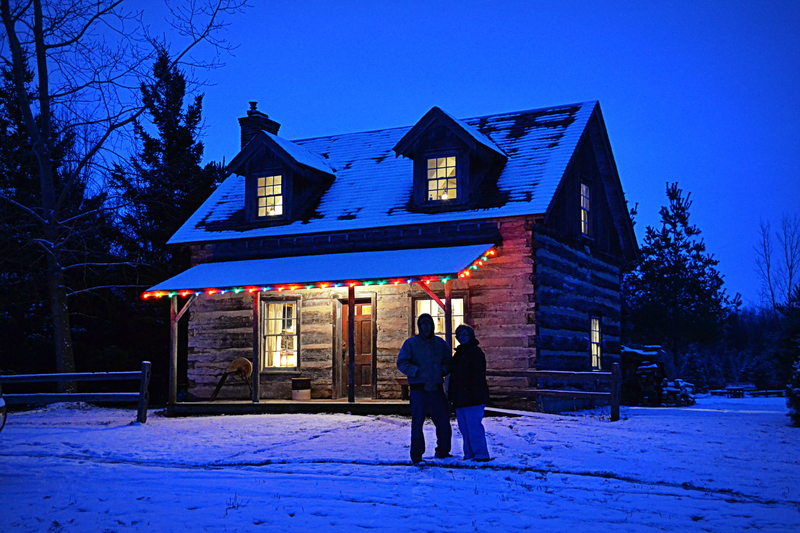 Our Christmas Cabin was the headquarters for the Christmas tree farm. And the mowing got tiring in the summer – and there was a lot of it. And the firewood processing and snow removal, though good for the physique, became wearisome in the winter. The elements were relentless. Winter became life-threatening as we got older. The place was no longer ideal for us in the mature stages of life. We talked about where we would like to live as we started to downsize and list the property for sale. It might be outside the edge of a city where we could live in the relaxed atmosphere of the country, while being within a few minutes of the conveniences of the metropolis. And here we are. At least for the summer. We like it well enough to already be talking about returning here every summer for the next few years. We love the beauty and comfortable climate of Michigan in the summer and fall, but not during the harsh winter. I have concluded that the ideal home is a somewhat elusive concept that changes with the seasons of the year – and with the seasons of life. What is perfect at one phase of life may become less than ideal later on. Having sold our labor-intensive property last year after a four-year downsizing, we are now in discovery mode, exploring every part of the United States (and outside the borders if we want to) in search of adventure and new experiences. An aside from our quest to see new places is the underlying search for the next perfect home. That greener grass on the other side (except that I don’t own a lawnmower anymore). 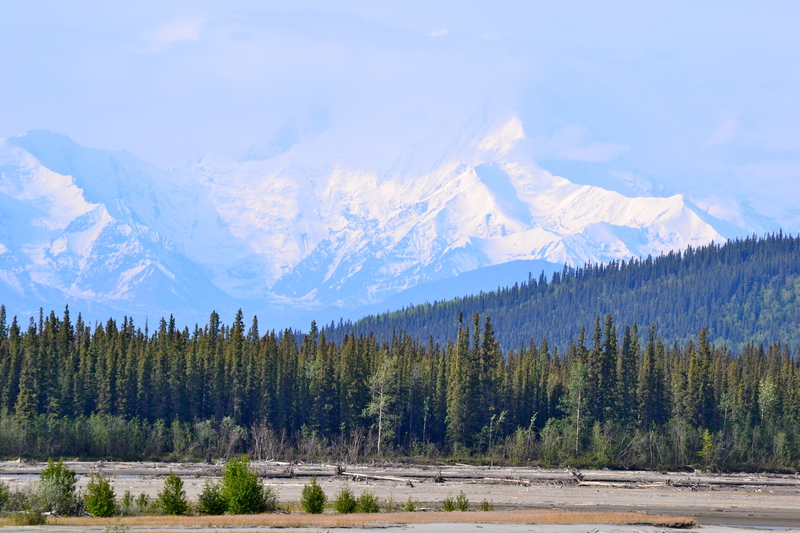 Alaska was a great place to visit, but I wouldn’t want to live in another place with harsh winters. And apparently, It is rather like aiming at a moving target for us at this point in our lives. Michigan in the summer and fall, points farther south in the winter. On the move right after Christmas with the rabid cold nipping at our heels as we leave the state and scurry south for warmer comforts. Right now we are in a nearly ideal spot (except it’s a campground and there’s no privacy) and there is a swimming beach here and a playground for the grandkids. And there are five pizza joints in this town – we have started sampling them. Because part of finding the elusive perfect place to live in the world is also the important quest of locating the best pizza. Our current campsite is blessed with grass, but somebody else does the mowing. That’s what I’m talking about! I am thinking that the perfect spot in life may be less about greener grass and more about perfect pizza. Anyway, Kaye says that though there is no perfect home in all the world, there is a place that is just right for us for here and now. And that is a truer quest, as the perfect place does not exist, we are in that place that is just right at this point in our lives. And loving it. I hope you are finding that sweet spot too. 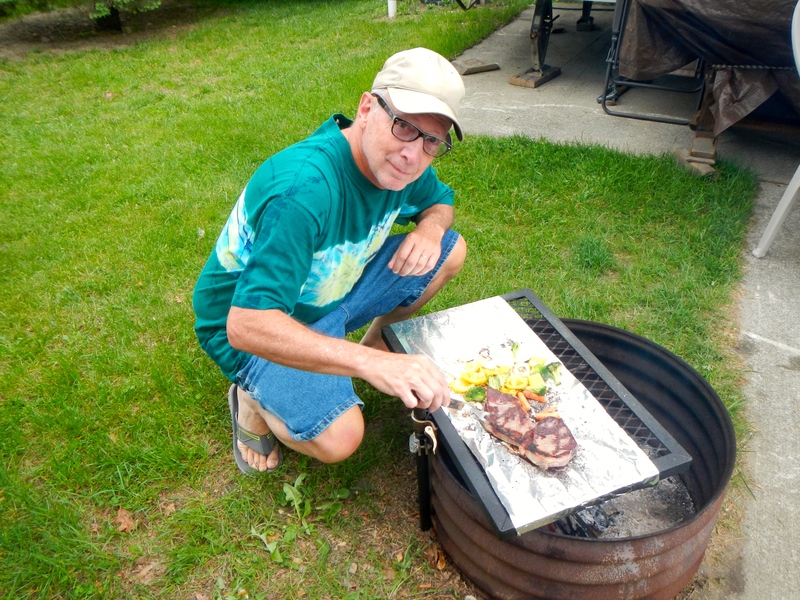 Not owning a gas grill since the downsizing, I do my grilling right on the campfire now… in pursuit of the perfect steak. Very insightful, as always. Perfect pizza is a great analogy and I also seek the perfect retirement refuge and for me family access is a must. Ok, Bob, you haven’t been to the northeast Georgia mountains. We have all four seasons, mild winters and beautiful mountains. Come see us next time you are down south. By the way Tim and Shelley live in Ann Arbor. Give them a shout.